Inspire and motivate your employees to new levels of productivity through effective coaching. 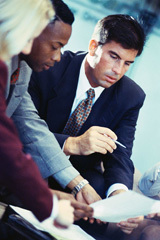 This workshop emphasizes practical techniques and the importance of coaches in an effective performance management system. Ideal for leaders, managers, supervisors, and team leaders who want to develop and retain their best employees.